RESULTS & VIDEO: Jose Raymond wins the 2018 Dominican Republic Pro. 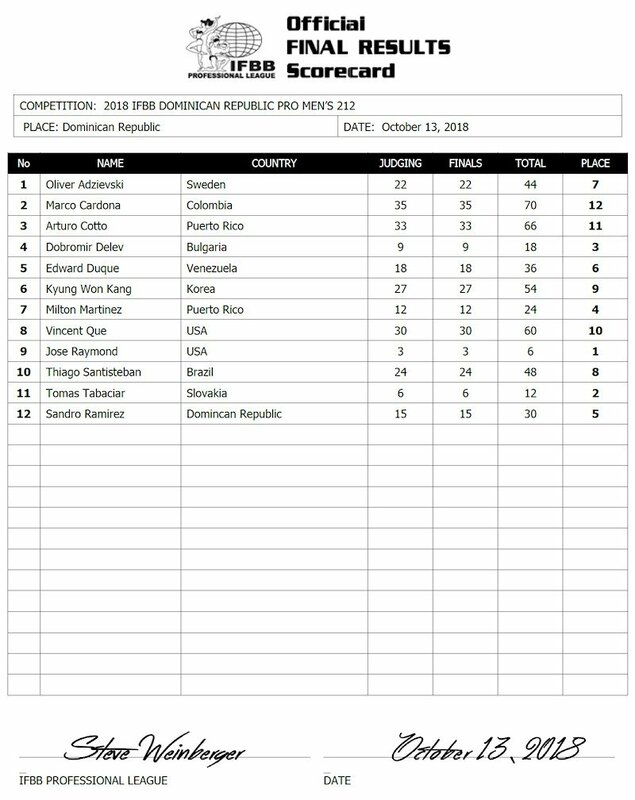 The first every Dominican Republic Pro took place this weekend (13 October, 2018). 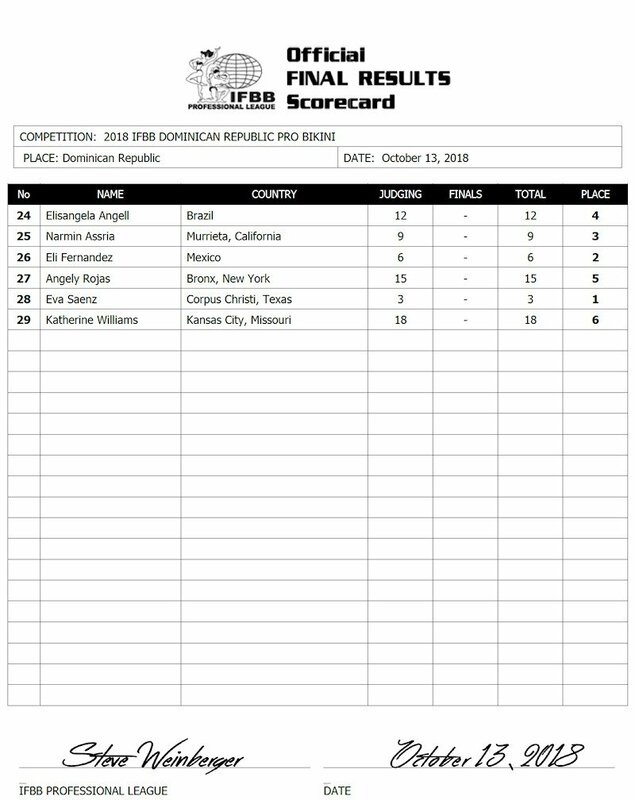 The contest was a Pro/Am with IFBB Pro and amateur athletes making the trip to the Dominican Republic. There was no open class bodybuilding at this event, but their was a good line-up for the 212 class event. 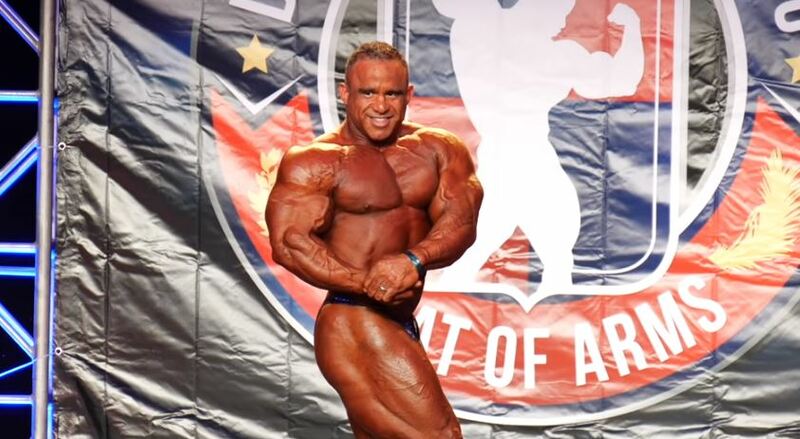 Veteran Jose Raymond walked away with the top prize at the event. It was a close battle between Jose and Slovakia’s Tomas Tabaciar for the top spot. Dobromir Delev from Bulgaria took third spot. The Classic Men’s Physique class only had three competitors. Victor Martinez and Jon De La Rosa launched this show in November 2017. With all the IFBB Pro cards handed out in 2018, a larger number was expected for this show. There was no excuse from anybody that the show was not promoted. This was a lost opportunity for a number of athletes to earn valuable Olympia qualification points. 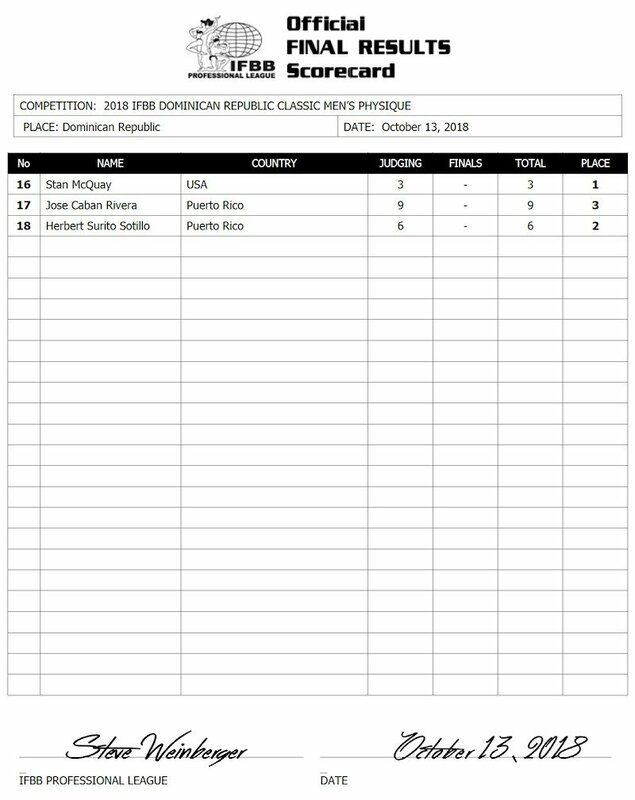 Stan McQuay finished in first while Herbert Surito Sotillo finished in second while Jose Caban Rivera finished in third. The Pro Bikini category had six competitors. Eva Saenz from Texas took the top prize. Eli Fernandez from Mexico second and Narmin Assria finished in third.